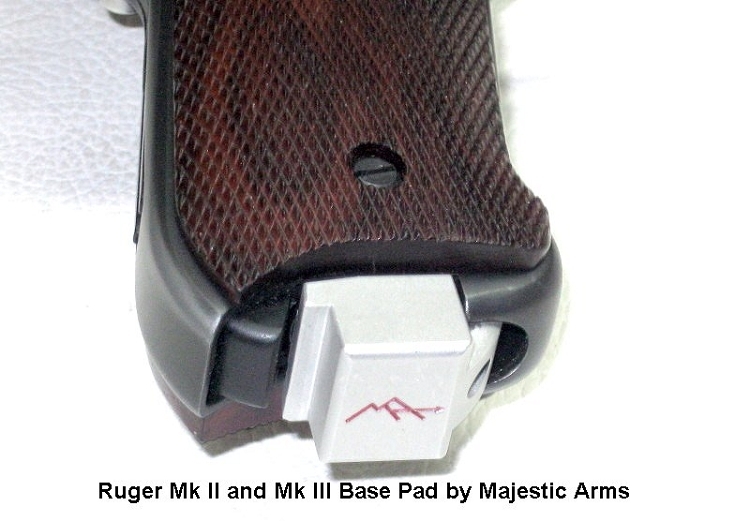 Magazine Base Pads are common in action pistol shooting because they give more reliable seating of magazines under speed loading situations. 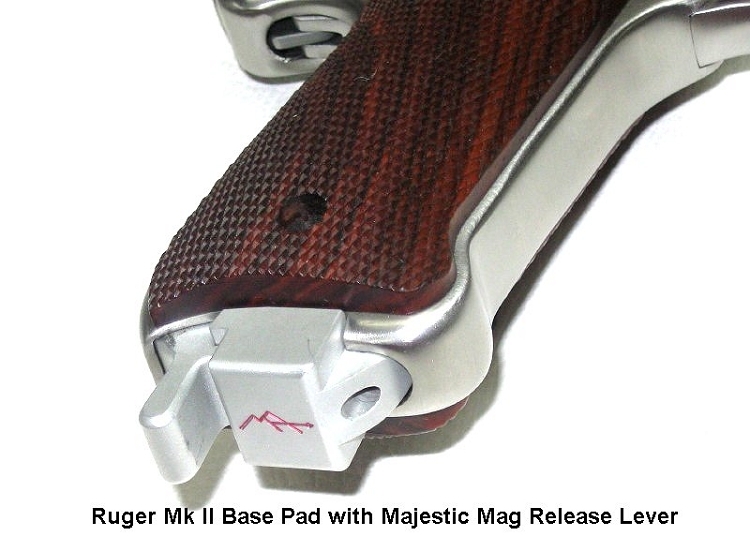 But with the Ruger Mk II and Mk III pistols, these magazine base pads are especially nice due to the recessed design of the original Ruger Mk II and Mk III magazine system. And now, the new Mk IV pistol is especially suited due to the force required to seat against its internal magazine ejector. 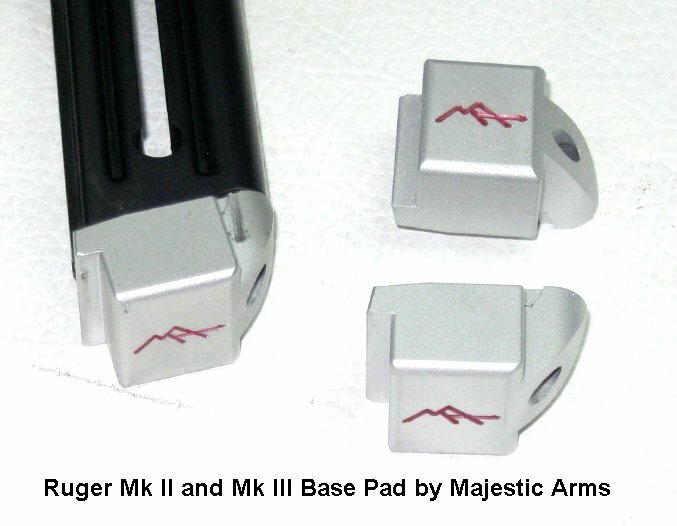 These new Magazine Base Pads fit both Ruger Mk II, Mk III, and Mk IV Pistol Magazines (Sorry, Not Mk I nor 22/45). Installation is as simple as disassembly of the magazine for cleaning... Just swap the Base Pad with the original factory mag base. When you're done you'll have a more functional and better looking mag! The pad is great for its intended use. It would help though if when you pull this from the pistol the the sides of them had a couple of grooves to aid in the gripping. Excellent product. Allows a firm seating on magazine each time. Extra length enables rapid magazine changes during matches. I used them on two older magazine that I Have because I already have there magazine release. They work very well better than the original bases. The part is fine and does the job. However, the item is always illustrated as a group of 3, with no disclosure that you only get one, so I was disappointed that what I ordered was for only one base pad - kind of expensive for what it is.